Lizol Disinfectant Surface Cleaner-Pine has unique formulation that kills 99. 9% germs in less than 60 seconds, removes tough stains leaves a pleasant fragrance. 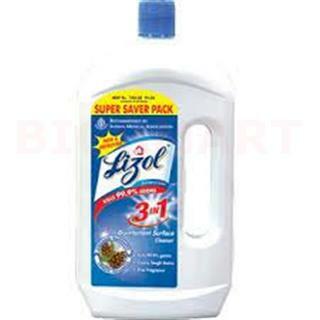 Lizol is the only surface cleaner brand recommended by Indian Medical Association.